You may remember that way back last September members of the Dallas City Council Quality of Life Committee approved a independent regional air network as laid out in a 20 minute presentation by the University of Texas at Dallas’s Dr. David Lary and Downwinders’s Director Jim Schermbeck. They approved it 7-0 with even Rickey Callahan voting for it. Usually when things get voted that favorably out of a Committee, they head straight to the full Council and get approved. But moments after the Committee vote City Staff demanded it not be sent to the full Council until December. Everyone who knew the backstory of how much the Dallas Office of Environmental Quality and (Rockefeller) Sustainability hated the idea of such a network knew what was really going on. And sure enough, here it is April and there’s still no movement on the one regional network idea officially endorsed by a City Council Committee. 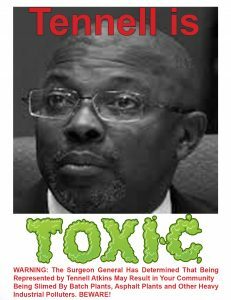 Not satisfied with allowing the worst environmental justice crisis since West Dallas to explode into Shingle Mountain during his watch, OEQ&(R)S’s James McQuire is now out to make sure Dallas residents never get a chance to make decisions about monitoring air quality in their own backyard. Why? Because as one Dallas staffer put it, “too much participation by the public can be a bad thing.” McQuire and Company want a monitoring network staff can control without citizen participation or accountability, in other words the Status Quo. But of course the status quo has failed spectacularly to address both the region’s old, and new air pollution problems. UTD and Downwinders are proposing a model with heavy doses of public participation and representation. 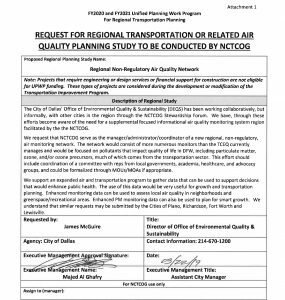 So last month, McQuire submitted a request to COG to ignore what his own Dallas city council committee had endorsed, and instead start from scratch to build a less-democratic, more staff-driven network that would be run by the same agency that for years denied the Midlothian cement plants had any impact on DFW air quality. He did this OVER THE OBJECTIONS of Quality of Life Chair Sandy Greyson, who has a healthy skepticism of CO’s abilities to look out for Dallas’ interests. Like members of the Dallas Citizens Council who to make an end run around the City Council to get their own pet projects funded – see the VisitDallas headquarters slated for the new extension of Kyle Warren Park that is now being pimped by COG’s Director Michael Morris – McQuire is now circumventing his own Council and seeking relief from a “regional” agency that has historically only looked at air quality as an obstacle to highway funding. So let that soak in – Dallas city staff is intentionally ignoring its elected city council and the only air monitoring approach that council is on record as supporting, and instead now backing its own more autocratic version which has never been voted on by council and in fact was rejected out of hand by council members when asked. It would take a novel’s worth of history to make the full case of why the COG is a poor choice for any new serious clean air effort in DFW but let’s start with just fundamentals. COG has never cared about air quality from a public health perspective. Ever. Any work it’s done or is doing now – including promotion of electric vehicles and other anti-smog measures – are aimed at keeping DFW out of “non-attainment status” with the Clean Air Act in order to keep getting precious federal highway money. 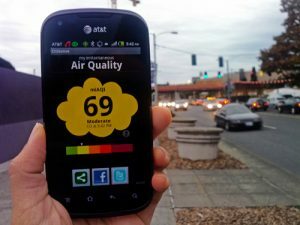 As long as the dollars keep flowing, COG isn’t interested in taking on other kinds of air pollution besides smog, or doing research into how even routine levels of combustion pollution are harmful, or until this moment, shown any interest in doing the air monitoring other metro areas are now routinely engaged in. This skewed perspective is reflected in the language of McQuire’s proposal to COG. It’s all about how this air monitoring network could be a boon to transportation planning and oh by the way, maybe be of some public health interest too. Because it lacks a public health perspective and is run by a cabal of local governments and staff by way of committees within committees, COG has been every bit as pro-active about bad air as the Dallas OEQ(R)S under McQuire, which is to say not a bit. Downwinders spent years trying to convince COG leadership that three giant cement plants located in close proximity to each other in Midlothian, upwind of Dallas, and in eyesight of I-20 did in fact contribute to DFW smog. 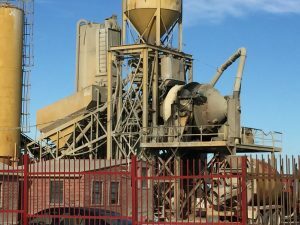 Despite spewing the equivalent of half a million cars worth of air pollution every year and being sited just across the Dallas and Tarrant county lines, the COG folks just didn’t get it – until Downwinders had to petition the EPA to bring those cement plants into DFW’s official smog plan itself. Those cement plants now have to be included in regional anti-smog plants but COG didn’t do that, citizens did. When COG was writing its anti-smog plans, there were only two sides represented in it regional Clean Air Steering Committee: city staff and business. It took Downwinders to organize a collective boycott of this process until environmental groups were given seats at the table. COG didn’t do that, citizens did. When fracking came to DFW, COG was as reluctant to point the finger at this huge source of new air pollution as it had been with the Midlothian cement plants. Why? Because local governments were benefactors of the Barnett Shale “boom” in tax revenues and drilling leases. COG steered clear from even acknowledging gas drilling as a significant air pollution problem and aligned with industry to dismiss concerns. It was up to local residents living next to drilling pads and compressor stations to write new rules for everything the drilling boom brought with it. Dallas residents wrote the most protective gas drilling rules in the state. COG didn’t do that, citizens did. And if it had really been interested in air quality and air quality monitoring, the COG has had years to develop the idea and pursue it. It did not. 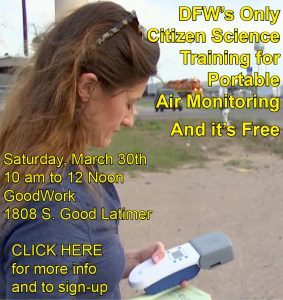 Instead it was left up to non-profits like Downwinders and UTD to design and build a new approach to air monitoring. For over three years now this effort as been in the works and in fact James McQuire and his staff sat in on the meetings where the UTD model that was endorsed by his own council was drafted. He raised no objections at the time. Instead he waited until after the effort was finished and begin to sabotage it immediately from behind closed doors. Despite his best efforts at scuttling the proposal, the UTD model made it to Greyson’s committee and won a 7-0 vote. COG and Dallas OEQ(R)S didn’t do that. Citizens did. And so now two of the region’s two most citizen-hostile entities are trying to team up and let COG do for Dallas air quality monitoring what it’s done to Dallas transportation policy – make it top heavy, unresponsive, undemocratic and staff controlled. Like Greyson, Dallas County Commissioner Theresa Daniel is four-square against the COG idea and in favor of more public participation. Representing the largest local government entity involved, her opposition may keep McQuire’s effort from taking off despite his best bureaucratic efforts. And there’s also the May elections in Dallas to consider. A new council could have a lot more confidence in overriding staff proposals than the current one. And maybe that accounts for McQuire’s proposal arriving at COG now as well. What really frustrating is that if McQuire and staff hadn’t begun his campaign to undermine the one approach that was favored by most of the entities involved, the Dallas city council would have already approved the UTD plan and we’d be on our way to building a truly independent monitoring network. Until Dallas staff objected last fall, there was a consensus about how to proceed. He’s single-handedly gutted that consensus, stifled all progress, and kept DFW way behind the air monitoring curve. We’ll keep you up to date on how far this COG proposal gets, but Downwinders in Denton, Plano and Fort Worth should be on alert that McQuire is trying to get those cities on board with the COG approach as well. Please contact your most citizen-friendly council members and ask them not to support, what is in essence a staff coup in Dallas. If this is going to get done right, citizens will have to do it. After a year of excuses, a determined group of women and their supporters shamed the City into finally taking action to close down the worst environmental health and justice crisis in Dallas. When the collapse came, it came quickly. Halfway through their Wednesday March 20th news conference giving authorities an ultimatum to shut down “Shingle Mountain” or face protests and possible civil disobedience, members of the freshly minted Southern Sector Rising Campaign for Environmental Justice learned the City of Dallas was reversing course and moving to close Blue Star’s year-old asphalt hell. Now, on Wednesday….well, now circumstances had changed. The political circumstances that is. 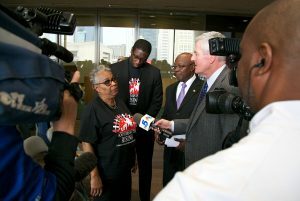 Now there was a new coalition of frustrated Southern Dallas residents and Old School Icons like Peter Johnson, Luis Sepulveda and John Fullenwider staging an emotionally-charged news conference with chants of “Shame on Dallas” ringing loudly up and down the corridors of City Hall. Now there was a publicly-leaked report with incriminating evidence of official wrongdoing. Now there were swarms of cameras and reporters hanging on the every word of a middle-aged, middle-class, horse-loving DART employee who had been ignored for such a long time. Led by Marsha Jackson and her Choate Steet neighbors, Temeckia Durrough and Miriam Fields of the Joppa Freedman Town Association and Olinka Green from the Highland Hills Community Action Committee, with Stephanie Timko as media czarina, the Southern Sector Rising Campaign for Environmental Justice did more than just win a huge victory for an much-abused part of Dallas. It gave Southern Dallas residents a new model for effectively changing their circumstances. An ad-hoc group that hadn’t even existed in February had the temerity to put City Hall on trial in its own lobby for Big D’s most spectacular municipal act of environmental racism in years. And it wasn’t even a fair fight. An eye-opening state inspector’s report Downwinders sent to reporters a few days before the news conference officially documented permit violations and red flags too large to defend. Although Blue Star had promised the state in April 2018 it wouldn’t store more than 260 tons of waste at its site, it was already storing 60,000 tons in December. Blue Star was supposed to have a Fire Protection Plan. It didn’t. Blue Star was supposed to have adequate funds to close and clean up its site. It didn’t. 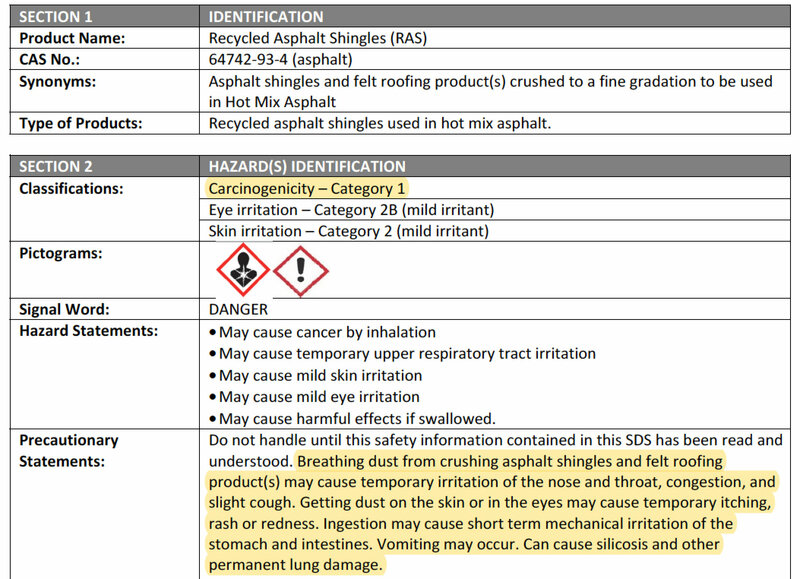 Blue Star was supposed to randomly test incoming loads of shingles for asbestos. It didn’t. This is how bad it was: Blue Star’s mocking of the law was too much even for Gregg Abbott’s Texas Commission on Environmental Quality. Or the City of Dallas. So long before the last speaker spoke in the Flag Room, news came that the City had pulled the Certificate of Occupancy for the largest of the two Blue Star tracts, something it had previously said wasn’t possible. Then it announced it was taking the company to court the next day to get an emergency Temporary Restraining Order to close Blue Star down. 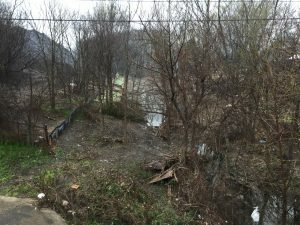 That City staff could so shamelessly pull off such a dramatic flip flop over a matter of a few hours is testimony to both the fury fueling the Campaign, and the overwhelming evidence that Blue Star and its government enablers had allowed a full-blown illegal dump to grow… and grow…and grow. The only thing missing from the turnaround was an apology and acknowledgement to the women that had forced City Hall’s hand. In Thursday’s hearing on the Restraining Order, the City of Dallas cited a number of missing municipal and state permits it now said Blue Star needed, including a Special Use Permit, an air quality permit, and a permit for storage in the flood plain – none of which the City had demanded when Blue Star had opened for business a year earlier. Despite the lack of these permits the City was now saying were essential, it had kept telling reporters, Council Members, and residents alike that Blue Star was a legal business right up until the time of the news conference. It wasn’t. Ever. 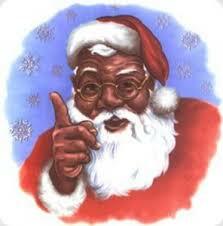 But it took a group of frustrated Southern Dallas residents to expose that lie. Of course in the hearing itself the heretofore lack of official city concern about these lacking permits was perturbing in the extreme for the attorney representing Blue Star, who said City Hall had already signed-off on its operations. “The City told my client there were NO air quality problems,“ he protested to the judge. That was undoubtedly a true statement. But that conclusion was rendered before a brigade of angry residents showed up at City Hall demanding Dallas enforce the law. Now, presto-chango, the City was emerging out of its dilapidated telephone booth with its moldy Toxic Avenger costume on and finding plenty of air quality problems, albeit in a anecdotal, non-quantifiable, way. Because despite being “very concerned” about air pollution from Blue Star, the City of Dallas never monitored air quality from the facility before it got to court. Neither did the state. 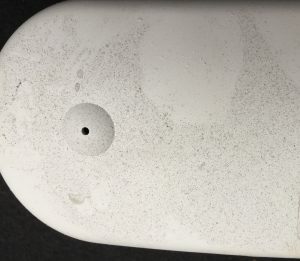 Only Downwinders at Risk, plugging-in one of our own portable PM monitors on the top of Marsha Jackson’s window unit for days at a time, captured any credible scientific evidence of air pollution harms. But in court, the City didn’t even mention those EPA-calibrated results. For the first time in memory it was the regulators using only their senses to call for a crackdown – what they saw and heard and smelled at Blue Star’s site – and citizens showing up with Real Science. 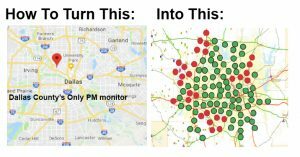 Lacking any monitoring data of their own, Dallas city attorneys sounded like countless over-matched and overwhelmed residents from past TCEQ hearings, pleading with the judge to accept their word that the air pollution was so darn obvious…if not directly quantifiable because, well, no, we didn’t actually do any monitoring. We don’t know how to do that. This lack of any data to back up its air pollution claims was one of the most embarrassing parts of the hearing for the City. One wonders when James McQuire and his Office Of Environmental Quality & (Rockefeller) Sustainability’s stubborn refusal to buy its own air monitors will eventually cost the City (and its residents) in court. But every time the City’s case looked in trouble, Blue Star’s attorney dug a deeper hole. He wanted the judge to know “shingles make really good fill” and that the spring-fed creek that ran through the company’s site was merely “a drainage ditch” and asking, after all judge, what is the true and right definition of “combustible” under Texas law? Everyone but the Blue Star attorney chuckled. After 45 minutes, Judge Gina Slaughter had heard enough and ruled in favor of the Restraining order. It took effect March 22nd and runs until Midnight on April 3rd. Before that happens, an 11 am Wednesday morning hearing will be held in the same courtroom to decide whether to extend the Temporary Order into a more permanent one. Word is that Blue Star was caught doing business during the last week when it wasn’t supposed to be on site at all. If true, it seems unlikely Blue Star will be granted a reprieve, despite the optimism displayed on the company’s website. “We fully expect to be open on Thursday April 4th, 2019″ it proclaims. Not if Marsha Jackson, her friends in the Southern Sector Rising Campaign, and now their reluctant ally, The City of Dallas, get their way. 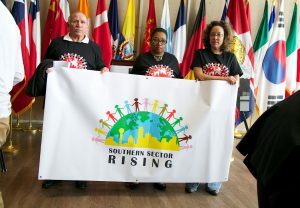 The Southern Sector Rising Campaign for Environmental Justice seeks to end decades of racist zoning forcing industrial polluters into predominantly Black and Brown residential neighborhoods and more equitably distribute Dallas’ pollution burdens. What makes this situation such a crisis? Volume – thousands of tons of waste are accumulating with new loads arriving daily. The mountain is now4-5 stories tall. Help us apply more public pressure. 1. The City of Dallas must immediately close the Blue Star Asphalt operation and begin to clean up the mess the company has created along the South Central corridor. 2. The City must include an equity provision in the City’s new Economic Development Policy prohibiting concentrations of polluters/pollution in the same neighborhoods. 3. The City must pass a moratorium on any new Industrial permits south of the Trinity River until that new industrial equity policy is in place. 4. 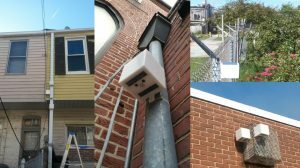 The City must restore the City’s Environmental Health Commission to allow for a more resident-friendly process for hearing environmental nuisance and health problems. 5. 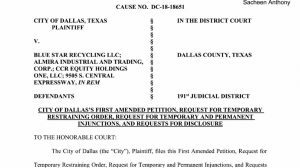 The City must create a Joppa Environmental Preservation District prohibiting any new industrial permits in that historic Dallas Freedman’s community, phasing-out of existing industrial zoning there, and better protecting residents from pollution exposure. March 20th’s launch at City Hall will begin with a video by local filmmaker Rick Baraff examining the personal toll Blue Star’s operations have had on the families who live around it. We’ll hear from Marsha Jackson, Biance Morales and members of her family as well as some very special guests. It’s expected that at least one lawsuit, and maybe others, will be announced on March 20th on behalf of Ms. Jackson and the Morales’. Campaign representatives will also be submitting language for specific ordinances the Dallas City Council to pass to implement the five campaign goals, announcing weekly pickets and a warning to the City that if Blue Star isn’t shut down by Earth Day, Monday April 22nd, we’ll be attempting to blockade new trucks of shingles from being dumped. This first protest at Blue Star will reflect Ms. Marsha Jackson’s deep ties to the Southern Dallas trail riding community. 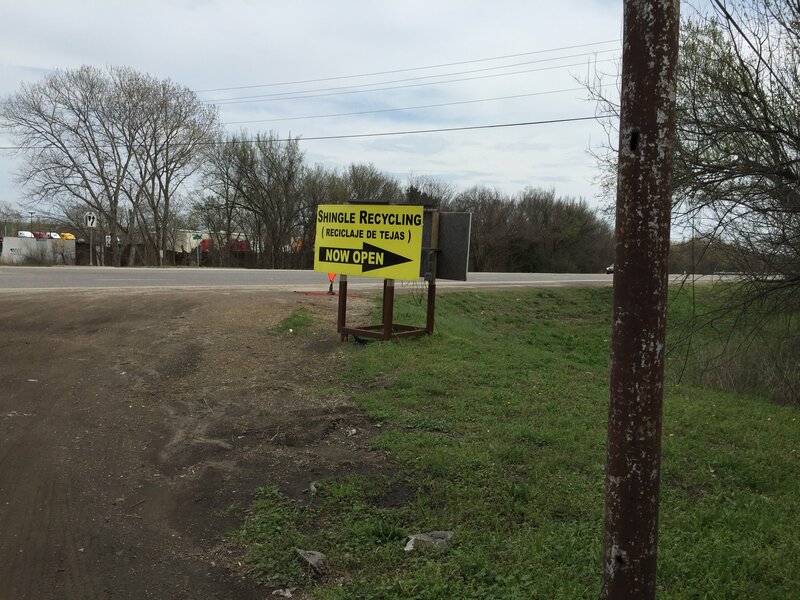 We’ll have a check-in tent with water, Rules of the Road and the latest information. We can supply some signs and help you create your own. 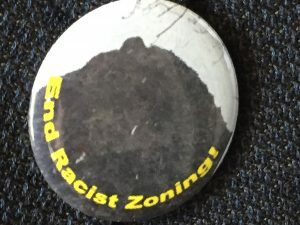 The important thing is to show-up and support the effort to clean-up this horrible mess and the messes that decades of racist zoning have produced all over the Southern Sector. 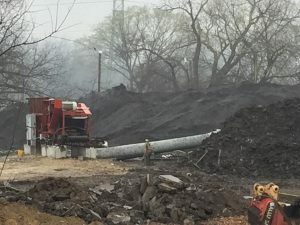 Marsha Jackson thought she’d found relief when Dallas Morning News columnist Robert Wilonsky wrote about the grotesque environmental disaster being caused by the Blue Star asphalt operation in mid-December..the first time. 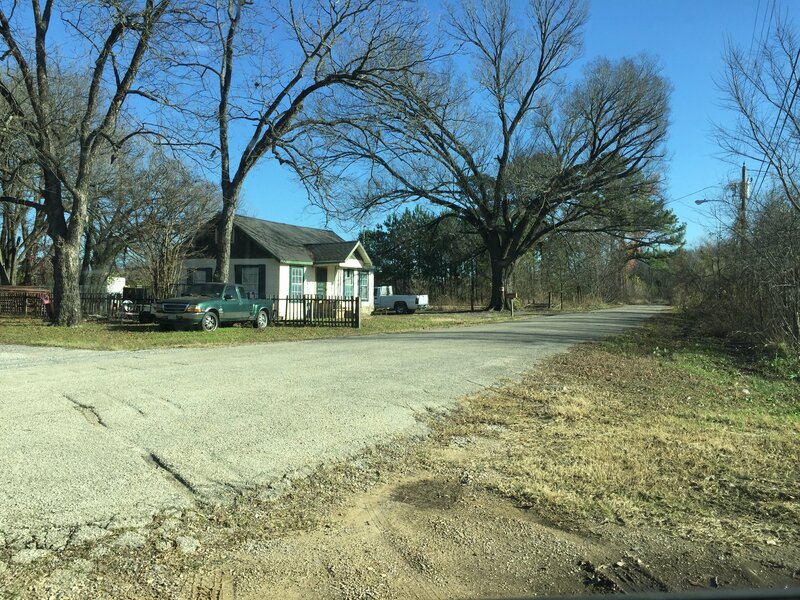 After complaining almost a year to the City of Dallas, the State of Texas, and the EPA without any action taken, Ms Jackson saw Wilsonky’s column set-off a flurry of official concern about this inept and dangerous operation destroying acres of tree-covered Southern Dallas and Ms. Jackson’s home of 25 years. That’ll happen when the city’s most read reporter informs you for the first time in passing about a situation it’s your job to already know about. But that initial knee-jerk response left Blue Star still open for business, and without a clean-up. So Wilonsky wrote another column. Some more official action ensued. The City got a Temporary Restraining Order….that expired after a week. The authorities made Blue Star push their 4-5 story high mountains of used shingles back away from a small creek running through it’s property so the waterway would be better protected. Ms. Jackson? Not so much. In fact, Blue Star has not been cited with even one nuisance, air pollution, or public health violation by the City of Dallas since it began building its special version of Hell a little more than a year ago. Officially, the city has shown zero concern for the human toll being taken by Blue Star’s pollution. Last month Wilsosky wrote his third column stating what many of us feel when we see the operation in person: “This is insane.” He got Dallas City Manager T.C. Broadnax on the record saying Ms. Jackson’s plight was the result of bad zoning, the kind that allows polluters to only set-up shop south of Dallas’ historic dividing line Trinity River. 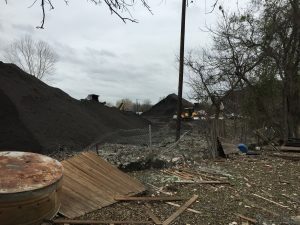 But no action was taken to change that zoning and Blue Star keeps right on accepting truckloads of old shingles and keeps grinding them up in the open-air using the industrial equivalent of giant wood chippers, spewing fiberglass, plastic and maybe asbestos into Ms. Jackson’s property and neighborhood. Blue Star keeps operating even though the City of Dallas says the business didn’t have a Certificate of Occupancy when they opened, despite evidence current city zoning doesn’t allow what they’re doing on the property they’re doing it on, and despite evidence they don’t have all the environmental paperwork they need for the despoiling taking place. Despite his best efforts to do the job the City and State are supposed to be doing, Wilonsky’s words just haven’t been enough to stop the obscene environmental and public health problems being caused daily by Blue Star. So maybe it’s time to do this ourselves. Maybe it’s time to file some lawsuits of our own, as citizens. There’s now plenty of documentation to prove the case of destruction, property rights takings, and personal and public health problems. Are there lawyers working in the public interest who could pursue these on behalf of Ms. Jackson and her neighbors? Yes there are. There are ones who can sue for regulatory relief and others who sue for “personal damages” caused by this kind of reckless disregard. These “toxic tort” attorneys would do well to target the deep pockets of the City of Dallas and the State of Texas as well as the modest holdings of Blue Star. Often the way to permanently put a stop to this kind of thing is to make the responsible parities pay such a high price that they’re never even tempted to try it again. Maybe it’s time for us to begin amortization proceedings against Blue Star. This is the process that closed the RSR lead smelter in West Dallas in the 1980’s. A city can change the zoning for a piece of property to something that clearly does not allow the current activity to take place on that property. In order to be fair, the law allows the current users to operate until they get their investment in the property back and then they have to close-shop and move. Once you see the Blue Star property, you’ll understand that it’ll take about a day and a half for the company to get back its “investment.” In fact, because of all the violations of law and probable lawsuits, Blue Star is probably already close to being in the red. 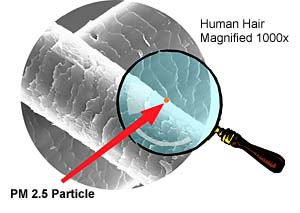 § 51A-4.704. Nonconforming Uses And Structures. The city council may request that the board of adjustment consider establishing a compliance date for a nonconforming use. In addition, any person who resides or owns real property in the city may request that the board consider establishing a compliance date for a nonconforming use. Upon receiving such a request, the board shall hold a public hearing to determine whether continued operation of the nonconforming use will have an adverse effect on nearby properties. If, based on the evidence presented at the public hearing, the board determines that continued operation of the use will have an adverse effect on nearby properties, it shall proceed to establish a compliance date for the nonconforming use; otherwise, it shall not. Ms. Jackson owns her house. So maybe it’s time we help her petition the Board of Adjustments to begin kicking Blue Star out of Southern Dallas ourselves. If the Council wants to do its job and join in, that w ould be great. But we don’t need them to start the ball rolling. Maybe it’s time we protested. Not just on behalf of Ms. Jackson, but the ancient, racist underlying cause of this awful situation and so many more south of the Trinity River. Everyone who lives in the “Southern Sector” is a current or potential Marsha Jackson. We’ve got to begin to change the entire zoning map of the city to get rid of the kind of outrages even the City Manager acknowledges are a problem. We need to demonstrate not just against Blue Star, but for improvement across the board, for real progress on the City’s own Master Plan for South Central that aims to “de-industrialize” the area – not make it into a wasteland. We need a platform for progress that address the Southern Sector as a whole instead of continuing to play whack-a-polluter every few months at a different location. Since August, T he Let Joppa Breathe Alliance has been meeting to try and draft such a platform as part of its mission. It’s been recruiting allies south and north of the river. It’s very near to making an announcement about that platform and the means it will begin to pursue it. This platform will be the first attempt to articulate specific City of Dallas environmental justice policy changes in the City’s history. It represents a tectonic shift in responding to age-old discrimination that’s still leaving a huge dusty coal-like legacy in Southern Dallas. We’re tired of playing defense. Its time we set the agenda. 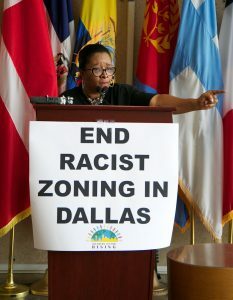 Dallas City Hall has failed Ms. Jackson and her neighbors. It’s failed Joppa. It’s failed Cadillac Heights, and Highland Hills and Fruitdale, and West Dallas. Over and over again. To win progress, something more must be done. When the call comes for that something more, how will you respond? Citing his role in stopping illegal gas drilling in Dallas, opposition to the Trinity River toll road road, and healthy skepticism of City Hall bureaucracy, the “c4” board of Downwinders at Risk voted to endorse Scott Griggs for Dallas Mayor at its February meeting. Griggs was first elected to the Dallas City Council in May 2011 representing then-District 3 including West Dallas, Oak Cliff, and Mountain Creek neighborhoods. After redistricting in 2013, Griggs was reelected to represent residents of North Oak Cliff in the redrawn District 1. He was reelected again in 2015 and 2017. In his first term Scott was voted as the 2012 Best Politician by D Magazine and the Dallas Observer. He’s known as a studious council member who’s often more prepared to talk about city policy than city staff. Griggs was a well-received special guest speaker at Downwinders’ 1-Day University this last December, where he brought his daughter Catalina along on their way to a dance recital. Along with the mayoral endorsement, the c4 board also voted to send a questionnaire to Dallas Independent School District board candidates asking about their support for school bus fleet electrification. 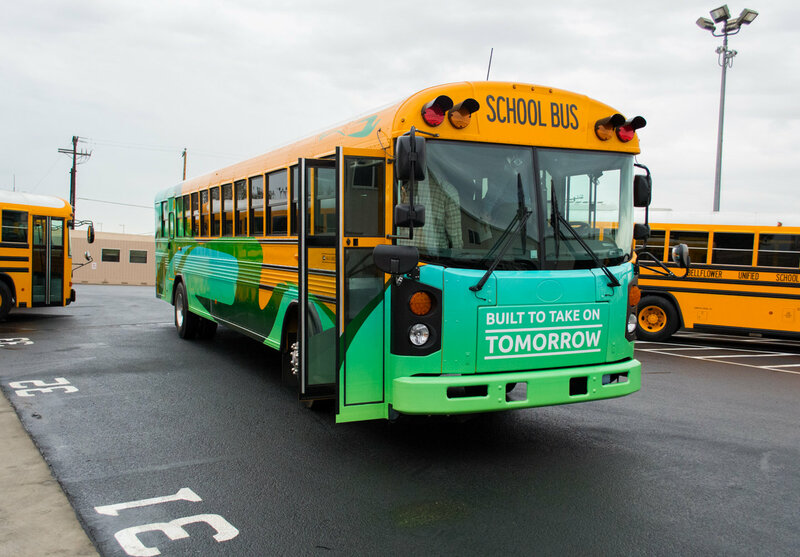 It’s believed to be the first time bus electrification has shown up as an issue in a DISD election. While non-profit c3 boards must devote the majority of their time and money to educational efforts, c4 boards are allowed wide latitude in advocating, lobbying and contributing to campaigns. Like many non-profits Downwinders at Risk has both. 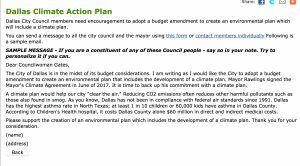 Despite supporters’ claims that the new $500,000 Dallas Climate “Action” Plan would have lots of opportunities for public participation, the decision-making apparatus drafting the plan puts all the decision-making power in the hands of City staff and its hired consultants. Oh, they’ll be countless PowerPoint presentations and “brain storming” sessions around the city over the next year in meetings sponsored by City Hall and neighborhood associations, but those will have exactly zero official standing in the final plan. Suggestions and comments will be harvested but they don’t have to be included – not even if they’re extremely popular in all those meetings. So City Hall and AECOM will hand pick the 20 members of this working group, at least half of whom will be Dallas “Bidness” folk. That leaves 10 or less slots for “advocates” like the Texas Tree Foundation, the Texas Nature Conservancy, and other City Hall friendly-groups who are allies or have the blessing of Dallas (Rockefeller) “Resilency” Czarina Theresa O’Donnell. Of course O’Donnell proved her green bone fides earlier this decade when she passionately defended the idea of drilling for gas in Dallas public parks. Despite other cities singling-out “equity” concerns for their own tracks, there’s absolutely official zero intent in the Dallas Office of Environmental Quality and (Rockefeller) Sustainability to do so here. Not even after going around the last six months proclaiming how concerned City Hall was about black kids with asthma. 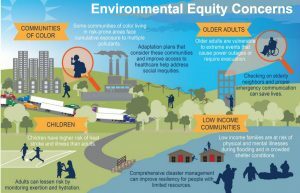 Local environmental justice advocates approached the OEQ(R)S last month with the idea of establishing an “equity working group” as part of the public participation process. They were told the City wasn’t interested. Remaining remarkably consistent with their current management philosophy city staff dismissed the idea that more Dallas residents being involved in the planning process was a good thing. When the EJ groups brought up the recently-completed San Antonio plan which established not only a business-environmentalist steering committee but working groups on “Energy and Buildings,” “Transportation and Land Use,” “Solid Waste Resources, ” Water and Natural Resources,” and “Equity,” staff responded that San Antonio City Hall had warned them to avoid all that democracy. “There were too many people involved down there” was the reply, which will surely come as a surprise to the 86 San Antonio activists who participated. Despite all this official gate-keeping surrounding the Climate Plan’s BAWG/BOG membership in Dallas, the actual on-the-paper influence of this curated working group is questionable since it only meets 3 times over the course of the year long drafting process. For most of those 12 months this “working group” is unemployed. Which brings us to the real decision-makers at the top of the pyramid, the “Environmental Planning Task Force, or “EPTF.” Gesundheit! 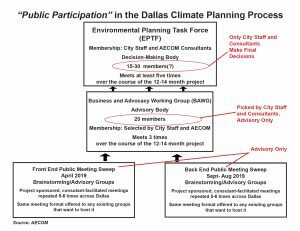 Comprised exclusively of city staffers and consultants, this Task Force will oversee the day-to-day machinations of the climate plan, and most importantly what recommendations to include, or not, and what timelines are “realistic” vs “not practical.” While there’s a patina of public participation in its “listening tours” the final arbiters of Dallas’ climate plan remain completely removed from public transparency, accountability and meaningful participation. It didn’t have to be this way, at least not without a fight. The same mainstream green groups that signed-off on City Hall using Dallas’ moribund plastic bag fund to pay for this plan could have demanded authentic public participation in return for their support. They could have asked for Southern Sector groups to have their fair share of representation at the table. They could have requested multiple resident-staffed working groups like San Antonio. They could have asked for real oversight and decision-making. Dallas City Hall needed them and their lobbying last August during the budget town hall meetings, but they gave up their leverage without asking for anything in return (that we know about anyway). This current public participation plan that really isn’t, is the result. As we noted in our last post about this subject, perhaps the only good thing about this process is that’s it gives Dallas residents a chance to upset the cart with their own ideas about how a climate plan for the city should be assembled. There’s already rumblings about a citizens’ planning process to shadow the staff’s version and provide an honest measuring stick for it. That would be a good idea. Unlike city staff, Downwinders believes the more people in the room, the better the decisions being made. Take a Deep Dive into How Dallas City Environmental Policy is Being Directed from… New York City? 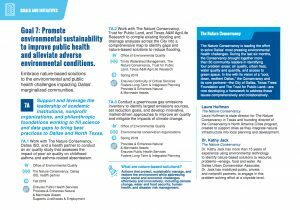 Over at the Belo Mansion this morning, the City of Dallas’ Office of Environmental Quality and (Rockefeller) Sustainability is hosting a splashy PR roll-out of its council-approved “Climate Action Plan.” There’s a well-known climate scientist as luncheon headliner, and break-out sessions, and lots of food. It’s been sold out for weeks. What there probably won’t be is an accurate recounting of how the plan came to be and an honest assessment of its severe limitations. And of course that scenario fits right in with the responsive, citizen-friendly customer service Dallas residents have come to expect from City Hall staff, right? Take firm hold of those pearls and get the smelling salts ready because as it turns out, the truth is much more cynical. 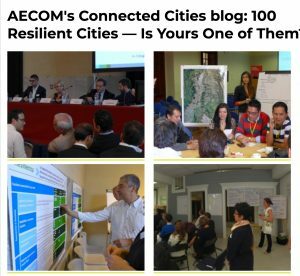 In fact, the plan was a foregone conclusion from the moment the City received a Rockefeller Foundation “Resilient Cities” grant in 2014. Municipal recipients of these grants are expected to produce such a plan. A plan exactly like the one passed by the Council in January had already been rubber stamped by an under-the-radar, Staff-selected “Community Advisory Committee” headed-up by none other than current Dallas Mayoral candidate Regina Montoya and including other Mayoral candidate Michael Solis organized three years earlier. That committee – with no one from local environmental groups as members, much less leaders – released their report last June. 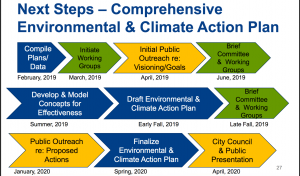 As it turns out, there was a years-in-the-making, Staff-scripted path to a climate plan long before before the public clamor supposedly was just too much for the City Staff to ignore. One obstacle remained to reaching the end of that path: how to pay the high costs of this consultant-driven plan. OEQ(R)S’s budget wasn’t large enough to absorb the $500,000 it had cost other cities like San Antonio to do the same kind of plan. Staff couldn’t bring itself to ask the Council to wring money for such an item out of the general budget. Not with Fire and Police pay so low, and pot-holed streets and such. So where could it get a cool half million for its needed pet project? The city’s dormant plastic bag fund of over a million bucks, that’s where. Money collected from the brief period Dallas was able to charge for plastic bag use before the Council repealed the fee under pressure from Austin was still sitting around, dedicated for use for “environmental projects.” But that money had been there since 2015, and despite calls from groups and citizens for new environmental initiatives of all kinds at the city level, it had not been touched, or even mentioned by City Hall staff as a resource that could be tapped to fund those initiatives. With those other projects asking for money City Staff knew they wouldn’t be able to use the bag fund for their own grant-fulfilling use without a public fight. They needed a public groundswell of support to say, “By-God use that plastic bag money to fulfill the requirements of your Rockefeller grant!” It doesn’t quite have the ring of “Liberté, égalité, fraternité,” but whatever. They got a mostly white middle-class version of that by calling on Dallas’ mainline green groups that all have national climate change agendas to lobby for the bag money at the August 2018 budget town hall meetings. These groups bombarded their members with messages to get out and tell their city council representatives the city had to finally take action on climate change. A significant number of them complied. This is the staff-engineered public clamor OEQ(R)S’s McQuire is alluding to in his quote above. How many of those who showed-up and did the staff’s lobbying for them actually knew how inconsequential the report would be is unknown. Lost in the call for action was any real discussion of what the report would do – and more importantly for residents who want tangible local climate action measures now – what it won’t do. There was no grassroots consensus, or even discussion, on what priorities that “found” dedicated environmental money could or should be addressing in Dallas, and whether this climate plan was its best use. There was no discussion about what concessions the broader Dallas environmental community could win from the city in return for its support. City Staff had a self-interest in checking this box for the Rockefellers, and the national mainline groups had a self-interest in justifying their own grants. That’s how Dallas’ environmental policies ended up being decided from the East Coast, instead of you know, Dallas. 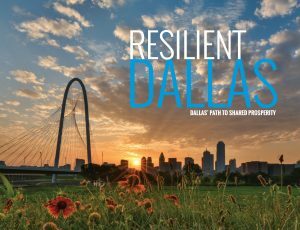 Our story begins way back in 2014 when Dallas City Hall’s newly-named chief “Resilience” officer, Theresa O’Donnell began recruiting members to join a special Resilience Report project. 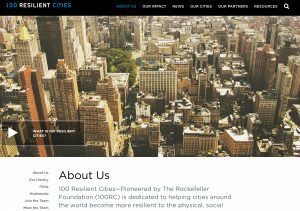 Dallas had just won a Rockefeller Foundation “Resilient City” grant that paid for her new job title. It’s the same eager-to-please reason OEQ became an awkwardly-named OEQ(R)S.
Old-timers will recognize the O’Donnell name from her role in the secret deal giving Trinity East gas drilling rights to Dallas parks and floodplains without the public, or council’s knowledge. Public disclosure of that deal sent City Manager Mary Suhm packing but Suhm minions remained in charge. O’Donnell is a Major Minion. Yes, that’s right. 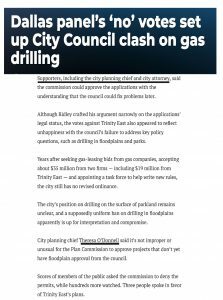 Dallas’ very first “Chief Resiliency Officer” advocated gas drilling in parks and floodplains against overwhelming citizen opposition. Apparently no lessons were learned by O’Donnell from that episode except maybe to keep things more hidden from public scrutiny. Within a year of the gas drilling debacle, she was hand-picking a committee that would ratify the “Resiliency” goals staff had already identified. O’Donnell applied a light coating of the world famous Dallas-brand Patina of Public Participation – giving the appearance without providing the real thing. Heading up this Dallas Resilience Report effort was….Theresa O’Donnell, followed by two of O’Donnell’s employees, followed by four Muckity-Mucks from the Rockefeller Foundation, followed by “strategy partner”AECOMM, followed by 15 Dallas City Hall departments, followed by a “Steering Committee” composed of four other O’Donnell/City Hall employees, including OEQ(R)S Director James McQuire and finally someone seemingly from outside of City government – Dr. S. Marshal Isaacs, UT Southwestern Medical Center – except he’s also a city employee because among other duties he’s medical director for Dallas Fire-Rescue. Can you spot any Dallas environmentalists or grassroots groups of any kind? Neither can we. All the non-profit organizations are the traditional faith-based ones Dallas City Hall uses as their go-to pool of “community representatives.” Safe, non-confrontational, and unlikely to buck staff. Also unlikely to know a lot about the local case fo r climate change action. Whether Ms. Montoya, Mr. Solis and the other members of this Committee knew they were being used by Staff to pass their already-agreed upon agenda or just went along for the ride is unknown. Neither choice inspires confidence in her or Mr. Solis’ leadership abilities. Next comes a gaggle of participants with the generic title of “Community Engagement,” which if you’ve seen Dallas City Hall in action probably means there were one or two well-catered lunch meetings of O”Donnell invitees who gathered to “Brainstorm” possible strategies over some excellent chicken and Brussel Sprouts..and then never saw staff again. Nevertheless, these cattle calls do result in excellent fodder for the Appendix in the report. Look, there are so many Engagers! Remember, these are just folks invited to brainstorming sessions, not the precious “Advisory Committee.” But not even one local professional or community environmentalist or group is included. Not even the mainline ones Staff would later use to sell the recommendation for a climate action plan to the Council. And certainly not the ones that had just helped defeat the gas drilling deals O”Donnell had advocated. And no, EDX, the Green Buildings Council, Texas Trees Foundation, and The Nature Conservancy don’t count. EDX is a network not an advocacy group. Green Building Councils are great but those architects aren’t representing any Dallas neighborhoods, and again, not an advocacy group. 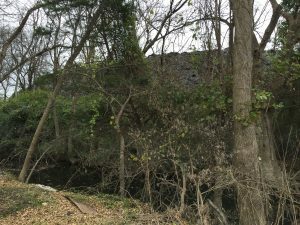 The national and Austin conservation-focused groups aren’t based in Dallas or do much, if any work in neighborhoods here. One thing they do have in common is that they’re all among Theresa O’Donnell’s circle of friends in other city projects, providing her with a light green patina without having to have the real thing. It’s really not that hard to put together a list of environmental and citizens group doing climate change work on the ground in Dallas. They’re aren’t that many, and unlike a lot of the names on that long Resiliency Report list, people have actually heard of them. BTW, at the same time O’Donnell was tapping her nature-loving friends at the Nature Conservancy for this “engagement’ she was also lining them up for the dubious “Breathe Easy” nine school air monitoring project the city is pushing as its one and only “air monitoring project.” No public debate on whether that was the best project, no call for RFPs among the Dallas environmental scene. Just a decision made on behalf of her friends in her office. But if like us, your mind is racing to all the things Dallas City Hall could be doing to meet that goal when you first hear it, you’ll be disappointed at the very low bar the report sets. Maybe if they’d had someone who knew abut the current “adverse environmental conditions” in the city it would have helped. Nobody from outside the O’Donnell bubble is involved. The projects, down to the specific organizations, have already been decided by staff. Like clockwork this project hit the Council in the fall of 2018 and is underway. We’re sure this project sounded like a splendid idea to everyone on the Advisory Committee and among the (barely) Engaged. Unbeknownst to them there were other options available to Dallas for more widespread and useful air monitoring research but nobody got to hear those because they were being sponsored by what staff described as “biased groups,” i.e. grassroots groups like Downwnders at Risk who’ve been hostile to the staff over its advocacy of pollution permits in West and South Dallas. Only those groups who are in agreement with City Hall staff are allowed for consideration in formulating city policies. Much tidier that way. But please note the climate plan didn’t go before the Council in the spring of 2018, or the summer, or the fall. It was January 2019 until this “done deal” made it for a final Council vote. Why? Because it wasn’t done. Staff needed to figure out a way to pay for it. And suddenly that’s when the mainline green groups they’d previously ignored became important to them. However much they talked up the Nature Conservancy, they knew it didn’t represent Dallas environmentalists and could not pull off the kind of sales job they needed. As a result, the Staff helped engineered the “public outcry” they later cited as a reason for passing the plan. Oh, and the company that got the contract for drafting Dallas’ climate action plan? It was Theresa O’Donnell’s old “strategy partner” AECOM, a consulting firm spun off from…wait for it…oil giant Atlantic Richfield. Yes, that’s right. Dallas’ climate plan is being written by a firm founded as a subsidiary of one of the world’s fossil fuel giants. 1) What will it actually deliver to the public and Council? 2) What’s the process for “community engagement” from now to release of the plan next year? What will Dallas get for $500,000? One thing it will not get is any immediate action on any item that could reduce climate change pollution. No it won’t. It can’t do any of that. It can recommend measures that might produce those results, but the report is specifically designed NOT to set in motion any specific policy change on any specific timeline. 1. Estimate the amount of very specific climate change gases (not even all air pollution) coming from City of Dallas operations, and then tries to do the same thing for the entire City of Dallas. 2. Make recommendations for measures to reduce climate change emissions from municipal and community sources and/or mitigate their impact. If they’re any good, those recommendations will then need to find a sponsor on the City Council and have at least seven other Council allies willing to pull the trigger. None of that is guaranteed to happen. You could have a report whose worthy goals are disowned by a majority of the Council for years. • Continue to encourage City emissions reduction initiatives and conduct emissions monitoring. Town Hall passions of the advocates outstripped the reality of what this plan can do on its current course. Any of the environmental groups Theresa O’Donnell hasn’t invited to participate to date could give you a good list of climate change action items right now – free of charge. Again, not that hard since there’s a known universe of options already from the half-dozen or so previous climate plans other cities have produced – courtesy of AECOM and their consulting brethren, who’ve been only too happy to charge officials for some of the most expensive photocopy jobs in history. And now there’s some proof those groups’ lists for Dallas City Council climate change action items really would likely be more aggressive and transformative than any list AECOM is likely to produce next year: San Antonio. San Antonio is to Dallas on climate change as Dallas is to San Antonio on shopping. They’re in whole other leagues. San Antonio has a progressive mayor who’s made climate change a big local issue. They were out in front before any other major Texas city. The city’s public utility company committed $500,000 two years ago to pay for a climate plan that does the same thing Dallas’ will do. The process there included dozens of community activists who did actually know something about the local “adverse environmental conditions.” Its climate plan was written by a consultant not named AECOM. 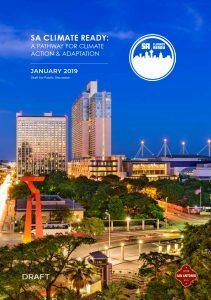 San Antonio has won all kinds of awards for being pro-active on climate change, including a huge Bloomberg Foundation grant, one of only 25 given to American cities. Time and again during the push in Dallas to get a local climate plan going, San Antonio was the example being used. They did it right in the Alamo City, we were told. We need to follow their lead. And yet the final San Antonio plan, recently released, is being criticized by those same mainline groups that advocated Dallas going down exactly the same path only last month. Examples of disappointment in the report abound. While Chinese cities enjoy full electric transit fleet service in 2019, and Los Angles, Vancouver and other cities have pledged to do the same by 2035, the San Antonio consultant wants to give the city until 2050. Other equally uninspiring options follow. Any climate change organizer could have done better. So yes, by all means, let’s follow San Antonio’s lead and produce a report that doesn’t deliver desperately needed urgent recommendations or timelines. But of course these are exactly the kind of feel-good, not-too-challenging goals Dallas City Hall loves to publicize…and then forget about. What will keep the climate plan process in Dallas from producing the same bromides, especially given how it was created? Maybe the folks that weren’t invited to the table finally come knocking at the door. According to the Staff’s timeline, they’re already beginning to decide how to form what they’re calling “Working Groups” to consult with the consultant. How will the membership of these Working Groups be decided, and by whom? At a recent community networking meeting where an OEQ(R)S staffer showed-up, he couldn’t answer those questions. But let’s pretend we’re Theresa O’Donnell. Who might she invite from the environmental side of things? The Nature Conservancy for sure. The Trees Foundation. EDX. Those are givens. Next comes mainline green groups who won her the support she needed to take money from the City’s only dedicated environmental fund. Anyone after those usual suspects? What about representatives from local groups most impacted by climate change and adverse environmental conditions now? The Joppa Freedmans’s Township Association, West Dallas One, The Highland Hills Community Group forming around the Lane Plating Superfund site, North Texas Transit Riders, The 10th Street District, Inclusive Communities Project, NAACP Health Committee, Society of Native Nations, Beyond Coal/Dallas? And maybe the leading clean air group in DFW for 25 years? Don’t hold your breathe. 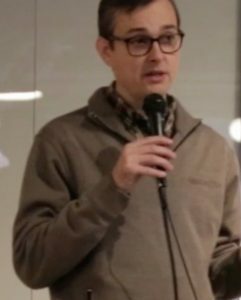 Besides deciding the membership of the plan’s Working Groups by spring, there’ll be some of those “brainstorming sessions” and then a back and forth in the process between consultants and Working Groups that lasts up until the plan’s scheduled release in April of next year (to be unveiled at that 2020’s EDX no doubt). These Working Groups will be the crux of the public participation part of the plan. What kind of decision is made is determined by how that decision is made and who makes it. The first sign of whether Dallas new climate plan will follow Old Dallas ways is how the staff picks who’s eligible to serve on those Working Groups. Regardless of who staff names to the official process, the groups that have the most to lose from climate change might want to intervene in its drafting, with or without an invitation. This is why, even as the OEQ(R)S officially approves new industrial sites in West and South Dallas one after another, it then sends staffers to community meetings to speak about the need to reduce the number of black kids with asthma. It now must tow the Rockefeller “equity” line, in words if not deeds. Disparities in Dallas pollution burdens are certainly one of the variables that can impact a neighborhood’s quality of life. But so far the city has gone out of its way to exclude the groups and individuals who suffer from those disparities and/or work on their behalf to address them. Residents may have a chance to change that behavior. 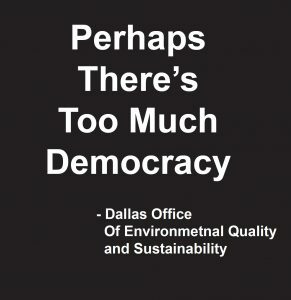 Environmental Justice, aka “Equity” is now a rhetorical challenge for Dallas to live up to in order to justify its Rockefeller money. Future grants and job titles could be imperiled if Dallas isn’t seen as being responsive enough to its Black and Brown populations. That gives citizens who want real reform some leverage with they don’t usually have. Who do the crop of Mayoral and Council candidates, including Ms. Montaya and Mr. Solis, think should be represented in those climate plan Working Groups? Who are the incumbent council members recommending for membership on those Working Groups? Are they even being asked? What should the Working Group agendas be? What effective, real, climate change responses can we do right now without waiting for a plan to come out in a year and tell us? Despite its business-as-usual origins, this climate planning process is still an opportunity to test just how “equitable” Dallas politics and City Hall really want to be. But it’s up to residents themselves to administer that test. Otherwise this time next year all Dallas will likely have to show for its $500,000 is another splashy roll out. their own Council Member and Plan Commissioner. 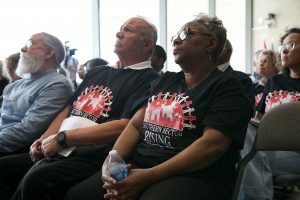 In one of the most impressive recent displays of South Dallas neighborhood empowerment, residents won their fight last Thursday at the Plan Commission to keep yet another batch plant from setting-up shop among them. But unlike past battles, they had to overcome their own Council member and his Plan Commissioner to do it. Residents, as well as representatives from the Joppa Freedman Township Association, Paul Quinn College, the Inclusive Communities Project, and Downwinders at Risk all spoke out against the idea of transforming another piece of South Central Expressway property into a hub of heavy industry. 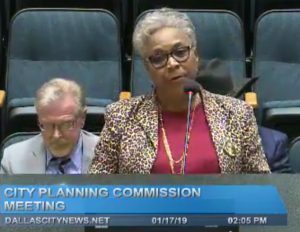 Leading the other side in support of the Bird Lane batch plant was of course the company proposing it, Estrada Concrete, and their consultants, but also District 8 Council Member Tennell Atkins’ Plan Commissioner, Chris Lewis. Bird Lane is in District 8. Usually the support or opposition of the home district Council Member and Commissioner is key to the final tally, but in this case, the strength of the case against the plant was so solid, and Lewis’ plea to approve it so feeble, that a majority of his peers rejected his request. As these things go, it was a huge, humiliating smack down. Lewis’ anti-citizen stance is more shocking once you know that only five days earlier he’d assured District 8 residents he’d be voting against the batch plant. Instead, the moment the last of the opposition speakers finished (there were no residents speaking in favor), he immediately made a motion to approve the batch plant. Needless to say, that turn of events caught everyone opposing the plant off guard and provoked a rowdy backlash in the audience that built until the final vote was taken. If it hadn’t been for District 11 (Kleinman) Commissioner Jaynie Schultz, District 3 (Narvaez) Commissioner Deborah Carpenter, District 5 (Callahan) Commissioner Tony Shidid, and District 1 (Griggs) Commissioner Jarred Davis raising objections, asking hard questions, and pointing to specific guiding language in the Dallas Planning Code, the vote would have gone against neighbors. In other words, there were at least four other Commissioners doing the work on behalf of District 8 residents that Mr. Lewis was appointed to do. Both Kevin Felder’s and Casey Thomas’s slots on this important body are currently MIA because they haven’t yet named replacements for their departed Commissioners. That’s not a traditional liberal-conservative alliance that defeated the batch plant– you won’t find Scott Griggs and Rickey Callahan tossing back beers together. Nor is it a strictly black and white split. Of the two black Commissioners present, the only one voting for the batch plant was Mr. Lewis. It was a neighborhood/Citizens Council split. Not in any “big” issue, lots-of-phone-calls-before-the-vote kind of way. Rather, in a small, looking-out-my-own-backdoor kind of way. Commissioners who opposed the batch plant couldn’t imagine looking out their own doors and seeing this thing as a neighbor. Those voting in favor knew such a fate was impossible for them. Final proof is found in looking at who voted in favor of Lewis’ original motion to approve the batch plant. It included longtime Dist 15 (Rawlings) Commissioner Gloria Tarpley who’s distinguished herself in the past by voting for illegal gas drilling, and the Commissioners from Districts 13 (Gates), and District 10 (McGough). 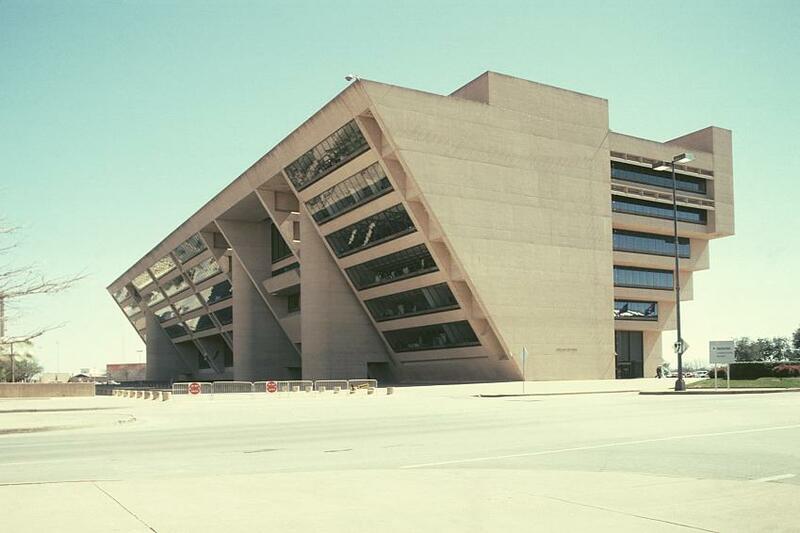 As per usual, Dallas City staff had recommended approval of the Bird Street Batch plant, so residents really were fighting the entirely of City Hall – including the guy that’s supposed to be their full-time advocate at the place. And yet they persisted. And they won. As it happens, the knock -out was a twofer. Not only did District 8 residents defeat the Bird Street batch plant, but they also learned that plans for Estrada’s other proposed batch plant around the corner on Zonie Road were being pulled as well. Their victory – your victory too thanks to over 100 emails of opposition sent through our Citizen Action portal – was one event in a series of recent events that have given environmental justice issues in South Dallas some real traction of late. The first Joppa batch plant fight last March, announcement of the new Superfund site near Paul Quinn, discovery of Marsha Jackson’s “Asphalt Alps,” and other open wounds are beginning to provoke community self-defense responses. Whether those responses can overcome South Dallas business as usual at the ballot box in May, or produce systematic change at City Hall, is a large and important question not only for South Dallas, but Dallas as a whole. We all live in neighborhoods. We all live downwind. The City of Dallas is conducting a survey of residents and businesses as it drafts a new Economic Development Plan. The City’s survey doesn’t ask about environmental justice or industrial equity – the idea that you don’t want to dump all polluters into the same Black and Brown neighborhoods next to residents anymore. That’s why we’re asking you to please include the idea in your comments. In the same way the Dallas City Council recently took a city wide inventory of subsidized housing and decided against concentrating any more such housing in the same neighborhoods over and over again, so it should also take a city wide survey of where all the industrial polluters are in Dallas and decide against concentrating any more in the same neighborhoods – usually south of the Trinity River. And until it does this, the city should declare a moratorium on all industrial permits south of the River. Left to its own, City Staff won’t bring these concerns up. The only way to inject Environmental Justice and Equity topics in this policy making process is for you to insist on them. Taking a couple of minutes to fill out this survey is a simple way you can do that from your couch. Thanks. Better Block recently helped out Downwinders during our Electric Glide Bus Pub Crawl by providing the spiffy portable stage used by Proterra founder Dale Hill at our stop at the Convention Center recharging station. Originally both groups had more ambitious plans to design and build a number of pop-up bus shelters to test ideas on how better to protect waiting riders from street level Particulate Matter pollution and donate them to DART. DART had other ideas…and a long list of very particular specs to make the shelters official. Despite this institutional resistance Better Block is determined to do some good and offer constructive suggestions. They requested and got DART’s long list of specs and are incorporating them into this year’s contest to DART won’t have any reason to reject them out of hand. Despite these obstacles Better Block is determined to do some good and offer constructive suggestions. They requested and got DART’s long list of specs and are incorporating them into this year’s contest to DART won’t have any reason to reject them out of hand. Why bus shelters? Studies show transit riders are among those most heavily exposed to PM pollution. One reason is they’re standing or sitting beside busy roadways, sometimes in shelters that actually trap PM pollution. 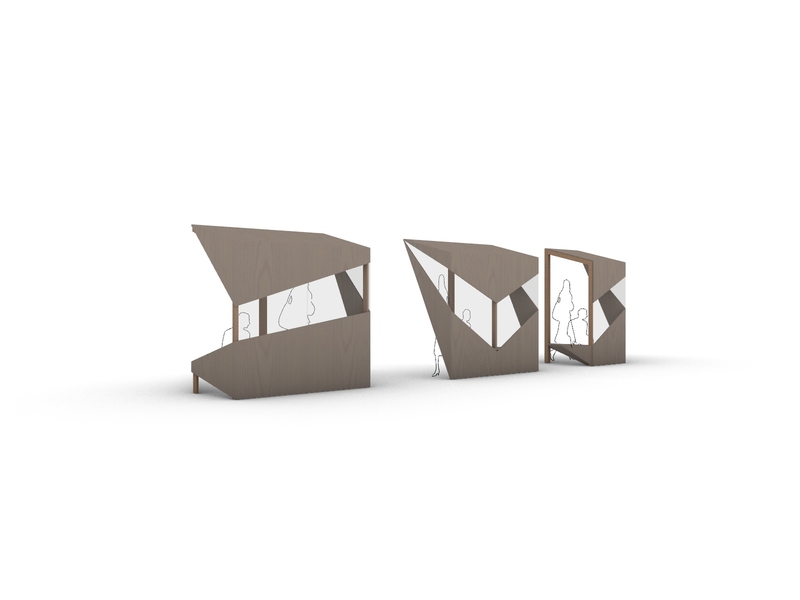 Better Block wants to help design shelters that do actually reduce a waiting riders exposure to PM. DART has never considered PM pollution in any of its decisions regarding bus type or bus shelter design. 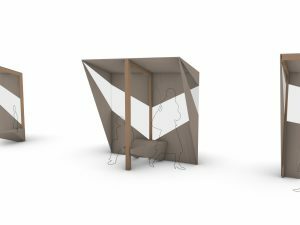 Better Block’s decision to make better bus stops the center of their annual design competition is another small success story in Downwinders’ efforts to raise awareness about the dangers of PM pollution. We can’t wait to see the prototypes. that Estrada Concrete is seeking. 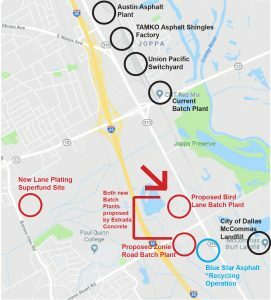 Thanks in part to your emails, the Plan Commission delayed routine approval of the Bird Lane batch plant at its December 13th meeting and scheduled an individual hearing for Thursday, January 17th that could start as early as 1:30 pm at Dallas City Hall. 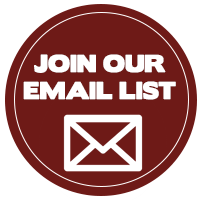 If you didn’t get a chance to send an email opposing the batch plant to the Plan Commission in December and want to do so you have that chance through our revised Featured Citizen Action “clickNsend” messaging. If you did send one in, send another. 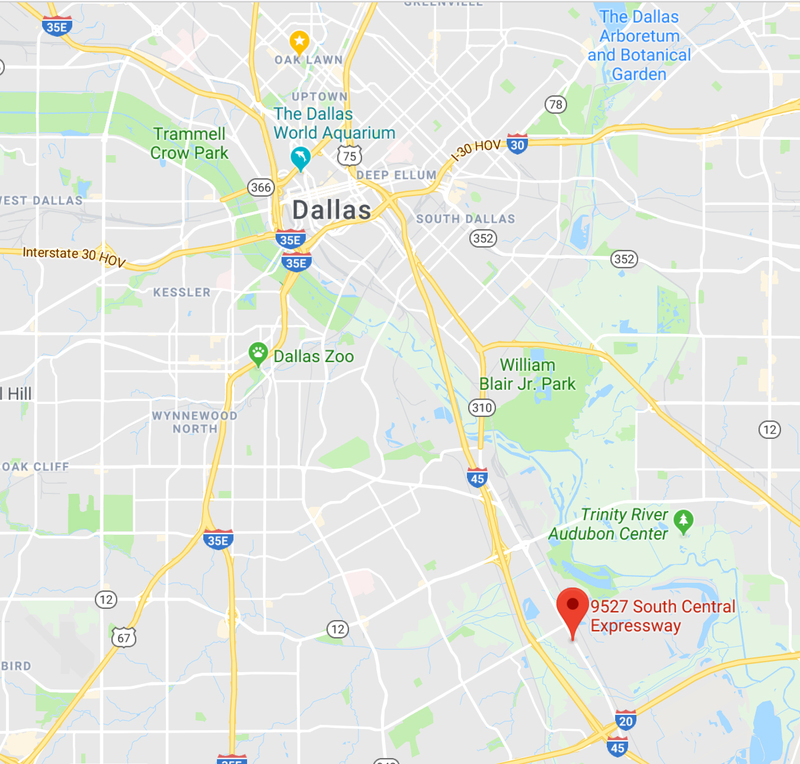 This time, you can not only tell the Commission you oppose this specific permit…but ALL new industrial permits south of the Trinity River until the City of Dallas quits dumping all new polluters there. We know the Bird Lane Batch Plant will be on the January Commission agenda but residents may be facing a twofer by then. The same company pursuing the Bird Lane site is also looking to put another new Batch Plant on Zonie Road right around the corner. After initially rejecting that effort because the paperwork wasn’t correct, it seems to be back on track up for Commission action as well – we just don’t know when yet. 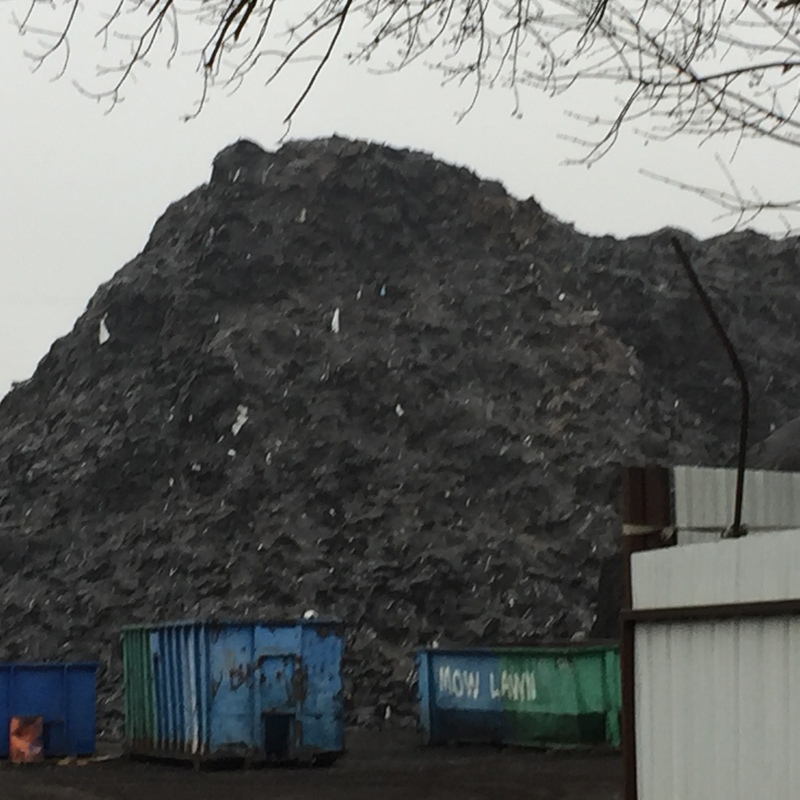 All of this is just down the street from Blue Star Asphalt “Recycling” mess, aka Asphalt Mountain, current industry in Joppa, and close to the new Lane Plating Superfund site. 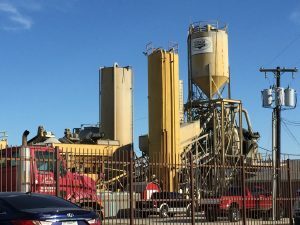 It seems certain that at the very least, the Plan Commission will decide on a Special Use Permit, or SUP, that Estrada Concrete needs to operate a concrete batch plant on the Bird Lane property for a minimum of three years..
Opposition is based both on the specific problems the batch plants would cause for neighbors, and the fact that this part of South Dallas already has a disproportional amount of polluting industries. 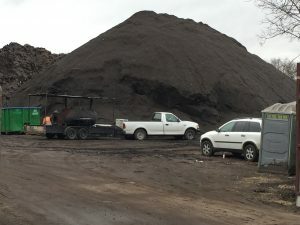 The first of two Estrada Concrete batch plants proposed for right around the corner from Blue Star Asphalt Recycling and initially slated to be routinely approved as part of a group of more mundane zoning requests, is now scheduled for its own hearing and vote next month. Thanks to neighborhood opposition, including, God Bless Them, Temeckia Dorrough and Marsha Jackson plus the Inclusive Communities Project, institutional opposition from near-by Paul Quinn College, and over 60 letters generated through the Downwinders’ Click N Send feature, the Plan Commission pulled the batch plant form its consent agenda on December 13th and scheduled a separate hearing and vote on the case for January 17th. Had vigilant citizens not plugged-up the City Hall pipeline, this is a zoning change that would have passed easily with full staff support and without even a record vote by the Commission. At stake is issuance of a Special Use Permit, or SUP, the owners need to operate a concrete batch plant on the Bird Lane property for a minimum of three years. Still unknown is when the OTHER Estrada Concrete batch plant also gets the green light for a scheduled vote. 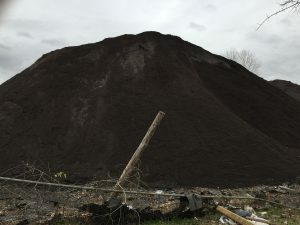 It’s proposed for Zonie Road, immediately adjacent to and downwind of homes and a shingle’s throw from troubled Blue Star Asphalt Recycling. It’s possible both sites could be on the same January 17th Plan Commission agenda. The Bird Lane site is already zoned Industrial Research (IR) while the Zone Road site is zoned Agricultural with a pending request to zone it Industrial Research as well. IR and Industrial Manufacturing, or IM zoning next to minority residential neighborhoods along the Trinity River has been the source of most local environmental justice battles. Come January we’ll be adjusting our Click N Send messaging to reflect the new Plan Commission hearing and vote date and let you know when you can have another big impact with your letters of opposition. 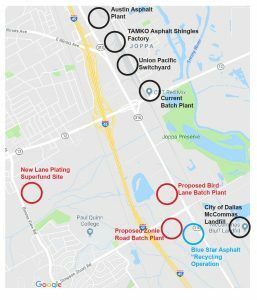 Discussion of both these proposed batch plants and the underlying zoning issue which keeps facilities like this coming to South Dallas will be on the agenda at the next “Let Joppa Breathe” Alliance meeting, scheduled for January 14th. For a blow-by-blow account of how it all went down, you can read Dallas Morning News city columnist Robert Wilonsky’s account in two separate installments that ran in last Thursday’s and Friday’s paper here and here. 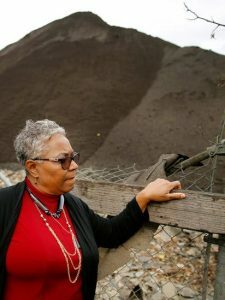 They tell the saga of Marsha Jackson’s one-woman fight to save her home of almost 30 years from being swallowed up by huge mountains of asphalt and used shingles by a company claiming to recycle them. A company that only popped up in the last 12 months or so and has completely destroyed her quality of life. No photos or video can do her situation justice. Towering 3-5 story piles of what looks like coal dust are looming over her house, right up to the fence line that’s broken because of them. Heavy-duty diesel equipment is everywhere and in constant motion, moving piles of asphalt chips and shingles around. Large shingle-shredding machines spit out chips from both ends. A foul-smelling asphalt cooking operation adds a sulfuric haze. It goes on well into the night. Ms. Jackson has been complaining about this situation to everyone, from the Texas Commission on Environmental Quality to the City of Dallas, for over a year. Despite her best efforts those complaints never got heard or acted upon. It might have remained that way for a good while longer. Instead, what happened to Ms. Jackson is the kind of thing that usually only happens in movies. On November 13th, Ms. Jackson met tenacious Temeckia Durrough of the Joppa Freedman’s Township Association at a community meeting about the new Lane Plating Superfund site in South Dallas. They exchanged their own outrages. Temeckia invited Ms. Jackson to come to the next Let Joppa Breathe Alliance meeting on December 4th to tell her story and add some people power. She did and then she begin sending photos and video of what was right outside her window. Those prompted visits to collect our own evidence. Sprawling over multiple acres, artificial ridges of asphalt bits and and shingles ring the site and come right up to the edge of a creek that flows into the Trinity River a short distance away. There’s nothing to keep those piles from sliding into the creek and sure enough, that’s what’s been happening over the last year. Exasperated by the actual site, Downwinders then reached out to a handful of local reporters capable of throwing a hot and heavy spotlight on an injustice. “Please help this woman living under/on top of a growing giant asphalt blob“ was the subject line of our December 10th plea. We suspected the only way to cut through all the reasons why nobody could help Ms. Jackson was to expose the fact that nobody was helping her. To his credit Dallas native Robert Wilonsky, city columnist for the Dallas Morning News, answered the call. He went out to Marsha Jackson’s house and like everyone else except the agencies who are supposed to be outraged by this kind of thing, was indeed outraged. And that’s when things started to happen. After trying to get basic information on Blue Star from Dallas City Hall he was even madder. Like the rest of us mere citizens, he was told he’d have to file an Open Acts Request – just to see the city inspection files, certificate of occupancy, etc. But maybe the reason the City didn’t want anyone looking is because Blue Star didn’t have ANY of the necessary paperwork to do what it’s doing, as Wilonsly later found out. Because he was snooping around City Hall, Wilonsky was contacted by District 8 City Council Member Tennell Atkins on Wednesday, December 12th. Wilonsky urged Atkins to look into the awful situation…in his own council district. That he’d been getting complaints about for months. But after a visit, code compliance officer in tow, Atkins was full of righteous indignation. As was the Dallas Office of Environmental Quality and (Rockefeller) Sustainability, whose Director only learned about Blue Star from Wilonsky in passing…on Thursday the 13th, when Wilonsly’s first column on Blue Star went up in the early afternoon. By Friday, December 14th, a month and a day after Marsha Jackson and Temeckia Durrough first met, the City was filing motions in court to close Blue Star down for at least a week. Considering how much official paperwork is lacking on the site, the fact that it’s the subject of an on-going TCEQ investigation, and is sorely liable to lawsuits by its neighbors, let’s hope it never opens again. We don’t know how those huge piles are going to get cleaned-up yet but at least they’re not being added to. For now, the activity on the site that was a constant nuisance and health threat to Marsha Jackson has ceased. In less than seven days the phone calls and emails of the most widely read local columnist for the only daily in town won a victory that months of campaigning through official channels by an ordinary citizen had been unable to pull off. Time and again the system let Marsha Jackson down until that institutional failure was the story that made the outrage stop. Call it Ms. Jackson’s own hard-won Christmas Miracle. Was it not for her persistence, this series of unlikely events could not have happened. Were it not each supporting link in the chain along the way – Ms. Douglas’ fateful invitation to Jackson to attend a community meeting, our gigging local journalists, one of those journalists actually being interested – there would be no happy ending to report yet. That’s how tenuous environmental justice is in Dallas. Besides showing the rewards of desperate determination, it was a lesson in grassroots perspectives for Reporter Wilonsky as well. Like most of us, he was dumbstruck by the fact that you can’t simply make an appointment to show up at City Hall, sit down, and read the official records on a company doing business next to you. Like many of you, he found out firsthand how passive the City is toward on-going disasters like the one next door to Ms. Jackson…until they become fodder for a front page column. But we can’t depend on a single reporter to do the work of whole agencies, no matter how influential. This was the exception that proves the rule. Even while the spotlight shone brightly on Blue Star, a hearing on a zoning change allowing a new concrete batch plant right around the corner was taking place at City Hall with a recommendation by city staff that it be approved. It’s one of two being sought in the same stretch of SM Wright freeway, which isn’t too far from the new Lane Plating Superfund Site, which isn’t too far from the TAMKO asphalt roofing shingles factory, the large Union Pacific switch yard, the Austin Asphalt plant and the Redi-Mix batch plant in Joppa. Fortunately, citizens were there to stop that mistake from happening as well. Instead of seeing these as individual facilities like City Hall does, they should be seen as symptoms of the same problem of obsolete racist zoning plaguing South Dallas. As long as heavy industry is allowed to plop down next to homes in a way not allowed in east or north Dallas, you’ll see wave after wave of Blue Stars and batch plants targeting this area. A wholesale examination of industrial zoning, of zoning that pollutes, should be taking place at Dallas City Hall as part of its revamped Economic Development policy. In the same way that the City recently said it won’t be a party to adding to concentrations of poverty through the siting of low income housing, it should also be policy not to add to concentrations of pollution in neighborhoods already absorbing more than their fair share. This requires a proactive perspective that has no sign of showing up within the ranks of the Office of Environmental Quality and (Rockefeller) Sustainability staff any time soon. That means residents are going to have to do this themselves – despite staff. Just like Ms. Jackson, they’re going to have to be persistent in their demands. They’re going to have to stay focused. And maybe, just maybe if the right combination of chords can be struck, in the right sequence, at the right time, another more far-reaching chorus of “Hallelujah” can be sung in praise of a civic miracle. This time for all of South Dallas.